This spring 2016, The Travel Mob were invited to take part in the #MustSeeMenorca marketing campaign initiated by the Menorcan Tourist Board and the Spanish Tourist Office in London. The month of May was chosen deliberately to help us discover a side of the island beyond its beaches (although we saw plenty of them too… and they are absolutely gorgeous!). 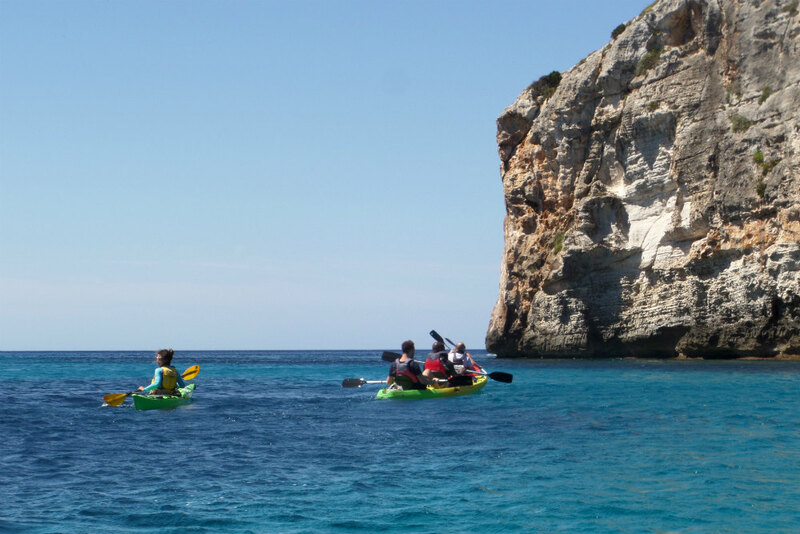 And so instead of topping up our tans on the island’s pristine sands, we sought out more active leisure pursuits, like hiking, sailing and sea kayaking. After overindulging on the excellent Menorquin cuisine two or three times a day, we had to burn some calories somehow! To get a fuller picture of our adventures we recommend you check out some of the many posts we published on our return, such as Hand Luggage Only’s nine must-have experiences on Menorca, SavoirThere’s in depth report on the famous Pretty Ballerinas shoe brand, Two Monkeys Travel’s insight into the island’s artisan products, Urban Travel Blog’s guide to things to do off season or The Travel Hack’s perfect weekend itinerary on the island. Many more stories here. And don’t forget to check out The Travel Vlogger’s three videos, that showcase some of the many aspects that make Menorca the Balearics’ most underrated island. So we’re on our way to Ljubljana for our first ever trip together! Excited is naturally a bit of an understatement. I’ve only ever heard great things about the Slovenian capital, which is not only supposed to be alluringly beautiful, but also pack a tasty punch when it comes to culture, nightlife and gastronomy. In fact it’s the Slovenian food and drink that we’re going to be paying special attention to. This should be us in a few days time! Photo by G. Murn, courtesy of the Ljubljana Tourist Board. A small country of just over 2 million people, perhaps it’s not surprising that compared to some of Europe’s famous foodie countries (the obvious ones being France and Italy! ), Slovenia has been overlooked, but when you consider that this is a nation that borders Italy, Austria and Hungary, and borrows heavily from all three culinary cultures – as well as others, then you can start to imagine that there’s plenty to sink your teeth into. From homely recipes, laid down back in the day by pioneering priest and poet Valentin Vodnik in the country’s first ever cookbook (they don’t get any more traditional than that! 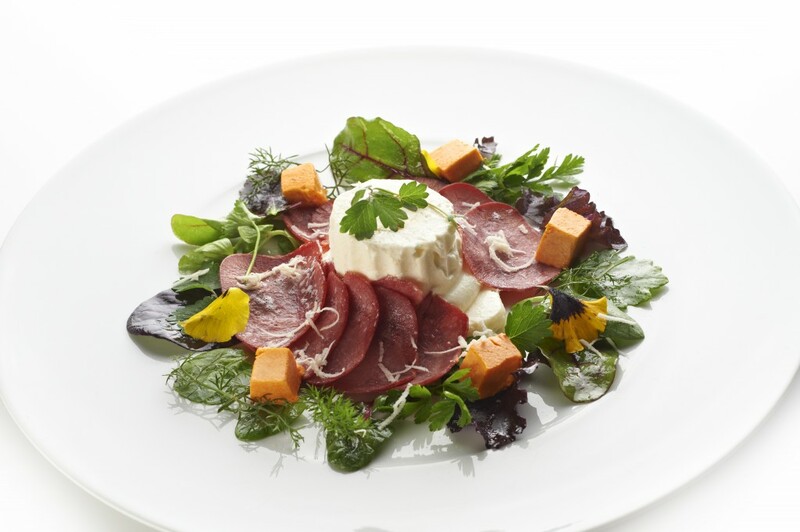 ), to haute cuisine by some of the most avante garde Slovene chefs, we’ll be tucking into a range of great foods during our June visit… and not only food! Here’s a fact for you that you probably didn’t know. Slovenia has 216km-squared of vineyards… that’s over 10% of the country. Safe to say then, that we’ll be tasting a fair bit of wine to go with those frog legs, boiled beef tongue and cottage cream pancake delicacies. We’re also delighted to hear rumours of the worldwide craft beer revolution reaching Ljubljana, so expect some notes back from a hop-fest of a tasting tour. Boiled beef tongue… a Slovenian delicacy. Photo by Tomo Jeseničnik, courtesy of the Ljubljana Tourist Board. The #TasteLjubljana theme of this blogtrip is not to be taken for just it’s literal meaning however… it’s also symbolic of our desire to “try out” and experience all of the Slovenian capital with all of our senses. We’ve heard about prisons converted into hostels, bike factories transformed into art centres, a lively bar scene, a wealth of green spaces, a rich summer programme of arts and culture (including the celebration of Ljubljana’s former Roman incarnation as the town of Emona – and guess what they’re celebrating 2000 years of Emona in 2014!) and plenty to see and do outside the city too… the most famous perhaps being the breathtaking Lake Bled up in the Alps, although there’s also the UNESCO listed Škocjan Caves, the Lipica Stud Farm (horses that is, not Chippendales) the Emerald river and the coastal resorts of Piran and Portoroz. 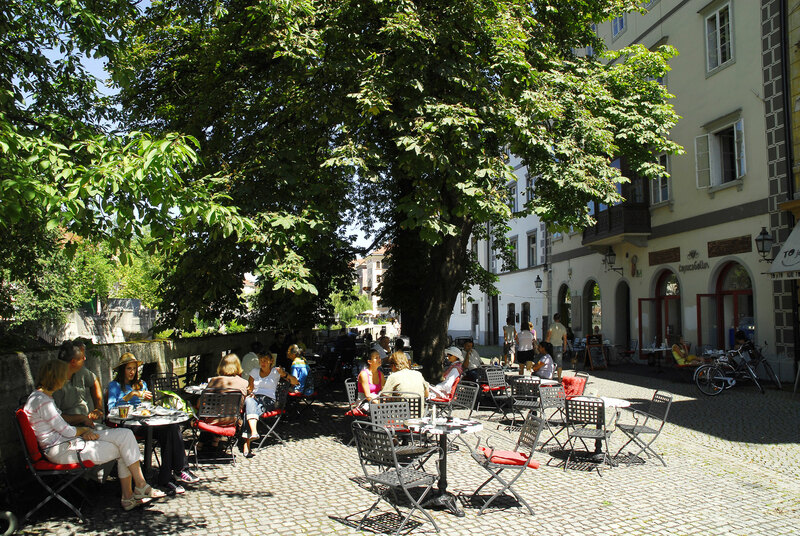 Check out this list of day trips on Visit Ljubljana’s official website for more! Heading on the trip will be several great personalities from The Travel Mob team, including Adam Groffman of Travels of Adam, Pola Henderson of Jetting Around, Jaillan Yehia of SavoirThere, Brian Cox of The Travel Vlogger, Monica Stott of The Travel Hack and myself, Duncan Rhodes of Urban Travel Blog. Click on any of the individual links for their websites and social profiles, or follow us collectively via Twitter, Facebook and Pinterest. Taste Ljubljana… More Than A Blogtrip!